Phoenix Possession of drug paraphernalia can be classified as a misdemeanor or felony by the prosecutors' office, albeit with little or no jail time imposed upon conviction. However, prosecutors often combine this charge with more serious drug crime offenses, adding to the potential consequences of the charges. The Law Office of James Novak defends people charged with possession of drug paraphernalia such as pipes, baggies, or syringes on a regular basis. If you have been charged with possession of drug paraphernalia, in conjunction either with another charge or by itself, it is important to have a knowledgeable lawyer represent you. We are known as tough defenders of people charged with drug crimes. We are dedicated to protecting the constitutional rights of our clients and holding prosecutors to their burden of proof. 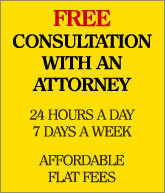 Call TODAY for your FREE consultation with a Criminal Defense Drug Lawyer. 480-413-1499. Even if you have been charged with actual possession of drug paraphernalia, with a water bong, package of rolling papers, or a torch lighter on your person or your property, we can assist you. While this type of charge seldom results in a jail term, it is usually issued only with more serious charges such as possession of cocaine, meth, or marijuana. 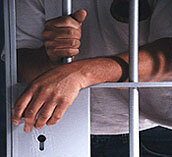 Consult with a knowledgeable drug defense attorney before you agree to any deals offered by the prosecution. Don't take chances with a seemingly minor drug paraphernalia charge Our Firm may be able to negotiate a deferral or deletion of your prosecution, preventing any record of a criminal conviction from your record. Even simple, low level charges of drug paraphernalia possession can have more serious collateral consequences than might be initially apparent. 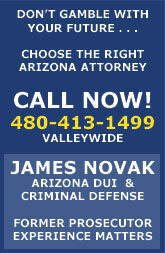 Contact an educated, experienced, and knowledgeable drug defense lawyer to defend you.